Those days, when one travelled by Pallavan Transport Corporation, people were used to hearing the conductor shout the place by identifying the nearest landmarks – at this place, they would tell the passengers - ‘icose’…. ‘aicose’ ~ it was that derivative of Ice House !! It was in fact a more iconic landmark – more than a century and few decades more – where ice was stored. In 1833, a merchant of Boston, Fredric Tutor built houses for storing ice. He reportedly bought ice to India in merchant ships, stored them in well like structures with charcoal as protection and supplied them to Britishers. Narendra Nath Datta later to be hailed as Swami Vivekananda, in his monastic life as, was born in an affluent family in Kolkata on 12 January 1863. His father, Vishwanath Datta, was a successful attorney with interests in a wide range of subjects, and his mother, Bhuvaneshwari Devi, was endowed with deep devotion, strong character and other qualities. A precocious boy, Narendra excelled in music, gymnastics and studies. On September 11, 1893, the Parliament opened. On the first day itself, after four other prepared speeches were read, Swamiji was asked to speak. In one of the greatest orations, he started with ‘Sisters and Brothers of America’ – five immortal words that made the 7000 strong audience to stand up in the realization they were witnessing an epochal moment. The speech was very brief, but, so brilliant was he that overnight he became a sensation. 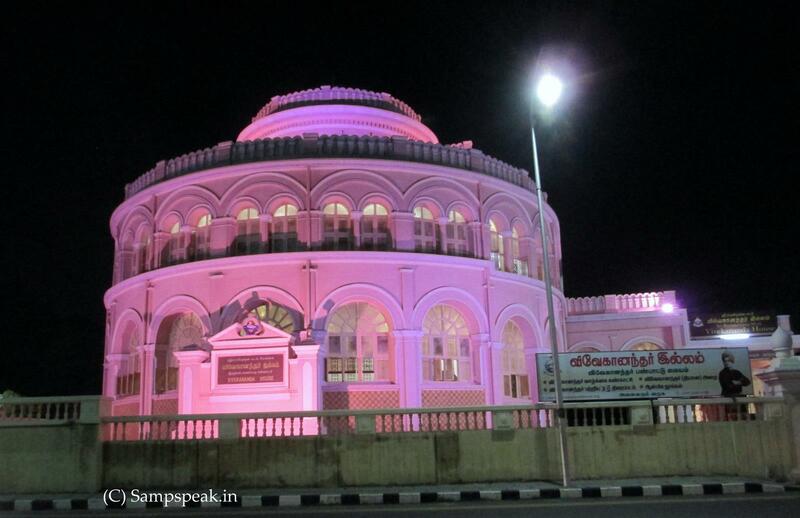 The greatness of Swami Vivekananda has many books written on him ~ this is limited to his memorial at Triplicane and some Triplicane connection of his. Way back in 1890s, a person by name Alasinga heard about ‘Parliament of World Religions’ to be held in Chicago in 1893. He being a well learned person, could have gone to the Parliament himself, but, given his modesty, he wanted someone else more scholarly to go. By some description, MC Alasinga Perumal is stated to be the headmaster of the High School attached to Pacheyappa's College. From the time when the Swami first came to Madras in December 1892 after his visit to Kanyakumari and Rameswaram, he attached himself with adoring love and never-failing enthusiasm to the Swami's person and to his ministry in the world in all its phases and details — an adhesion and service to the Great Master Vivekananda. In Madras, Alasinga initially just organised Vivekananda’s lectures and he understood that Swamiji was the person to go to Chicago. He ensured collection of required resources for the trip and he himself carried Swami Vivekananda’s luggage on to the ship , ‘Peninsular’, in Bombay bound for the America and saw him off. When Swamiji returned to Chennai in 1897 he was taken on a procession to Castle Kernan owned by Biligiri Iyengar (the same icehouse that had changed hands to a leading advocate in Madras). During his nine day stay, he shook India’s national consciousness through his fiery lectures at Chennai. Later, Ramakrishna Math (Monastery) Chennai was founded by Swami Ramakrishnananda, a brother disciple of Swami Vivekananda. The Math functioned from here during its first 10 years (1897-1906) until it got moved to the current location at Mylapore, Chennai. In 1963, during the Birth Centenary of Swami Vivekananda, the Government of Tamil Nadu renamed the Castle Kernan as Vivekanandar Illam. Vivekananda House now houses a Permanent Exhibition on Indian Culture and Swamiji’s Life, maintained by the Ramakrishna Math and is a source of inspiration to thousands of people who visit it every year. The museum houses some relics, showcases the room where he stayed and some rare photos of Swami Vivekananda including those taken during his stay in Madras, at Kanyakumari, Ceylon and elsewhere. Some of them and more specifically a phototype of Swami in simple sanyasin dress that appeared in Apr 1897 issue of Prabuddha Bharata has the credit line of one T. G. Appavan Mudaliar, with address of No. 3, Veeraraghava Mudali Street, Triplicane, Madras.. .. those of us in Triplicane know that Veeraraghava Mudali Street, is the famous Big Street that has Hindu High School. Appavan Mudaliar is stated to be a reputed photographer of his time, residing in Triplicane. 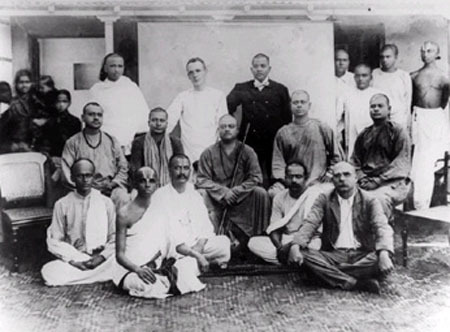 Ramakrishna mission web states that the Chennai math researched in finding more on this photographer but could not locate the house or descendants of him. Though I am born and brought up in Triplicane, for the first time visited the museum at Vivekanadar Illam today and am thoroughly impressed. One grievance is though it houses lot of good photos, photography is banned here.